Does DC Have Live-Action Plans for The Question? Quentin Tarantino’s Star Trek pitch inches closer to actually, really happening. 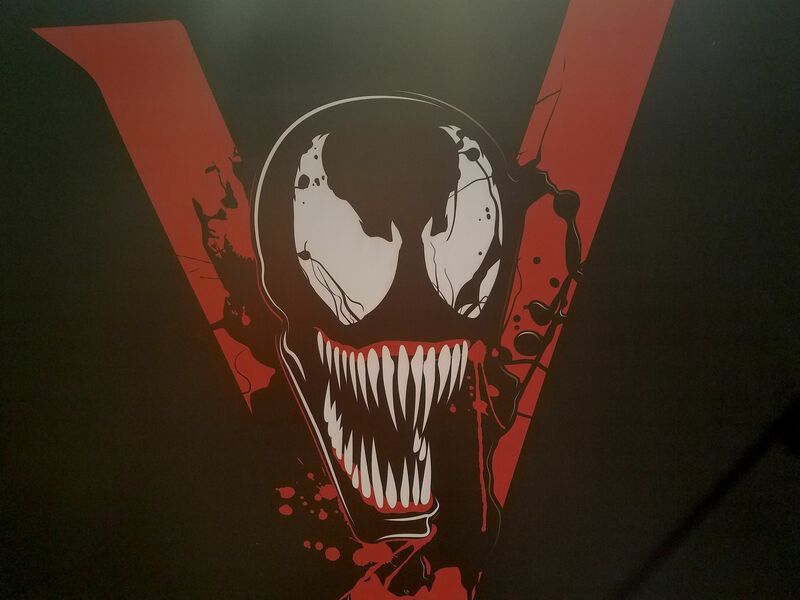 Michelle Williams teases her Venom character. Idris Elba remains unsure of The Dark Tower’s future, on film or on TV. Plus, a new Happy clip, and more behind-the-scenes footage from The X-Files. ‘Tis the season for some spoilers! Comicbook.com claims that Faithe Herman (This Is Us) has joined the cast in an undisclosed role speculated to be another of Billy Batson’s friends, Darla Dudley. I have no idea. That’s definitely not who I’ve been acting with for the last couple months. I don’t know who that is, but that’s definitely not who I’ve been doing scene work with. I think that stuff exists in a realm that I’m not involved in, that stuff exists in the digital realm. And I’m still a human, like, after all this time. They haven’t digitized me. Both Elizabeth Olsen and Paul Bettany have wrapped filming. 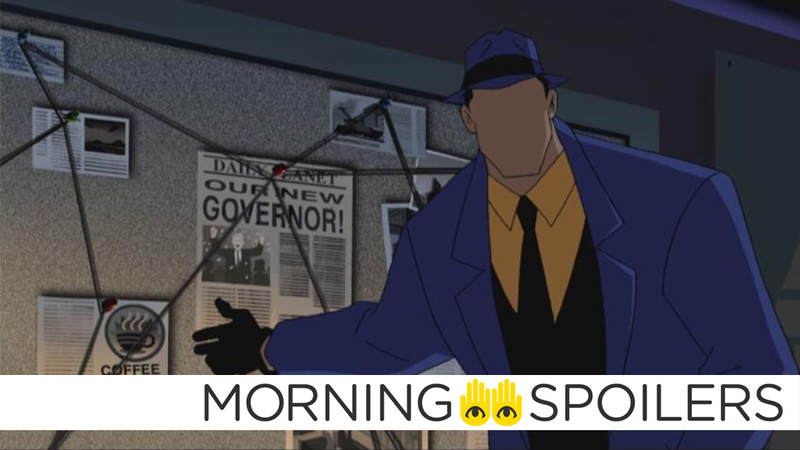 In an interview with Discussing Film, Marc Guggenheim stated DC has plans for masked sleuth The Question—which is why we haven’t seen him on Arrow. Whether that means a movie or another live-action appearance (perhaps in Titans, or in another unrevealed show) remains to be seen, but start being vaguely excited! I always bring him up. I always feel like that character would be a great fit with the tone of Arrow. Again: it’s not our characters, it’s DC’s characters, and they’ve got other plans for The Question… I don’t know what their plans are, but clearly they do have plans – otherwise we’d be using him. IFC Midnight has released a new trailer for The Midnight Man, yet another horror film about a haunted box — this time starring Robert Englund. Speaking with Screen Crush, Idris Elba stated he’s “the last to know” whether a Dark Tower TV series is moving forward. Elba also revealed he “didn’t know” Stephen King suggested the series would be a “complete reboot” of last summer’s film. You know what? I didn’t know Stephen said that. I don’t know, actually, where it lies. I must figure this out, I don’t know where it lies. I’m unfortunately the last to know at this point. Syfy has released a clip from episode four, “Year of the Horse”, airing December 27th. Finally, Jeffrey Spender returns in the latest behind-the-scenes featurette, which also includes footage of Mulder and Scully spooning.